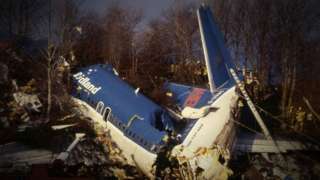 The Boeing 737 crashed on to the M1 in Leicestershire in 1989, killing 47 people. 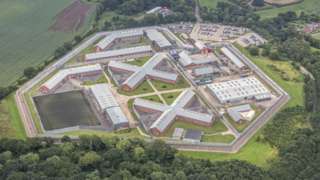 Inspectors find cases involving force by staff at "violent" HMP Lowdham Grange has increased. Six fire engines are tackling the fire in Wigston, Leicestershire, and the road has been closed. At its height more than 60 firefighters tackled the blaze at Leicester's so-called Golden Mile. Fancy a flavour of FA Cup drama? If the thrills and spills of the FA Cup third-round action has got you excited - how about getting a flavour of it yourself? The 2019 FA People's Cup is now open for entries. There's no experience required, it's free and you get the chance to play at St George's Park and lift a trophy during the FA Cup final in May. Find out more about the competition and how you can get involved here. 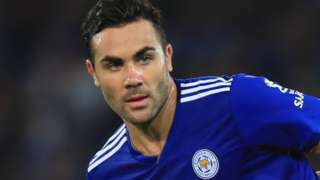 Leicester midfielder Vicente Iborra joins Villarreal for an undisclosed fee. Today's updates have finished. 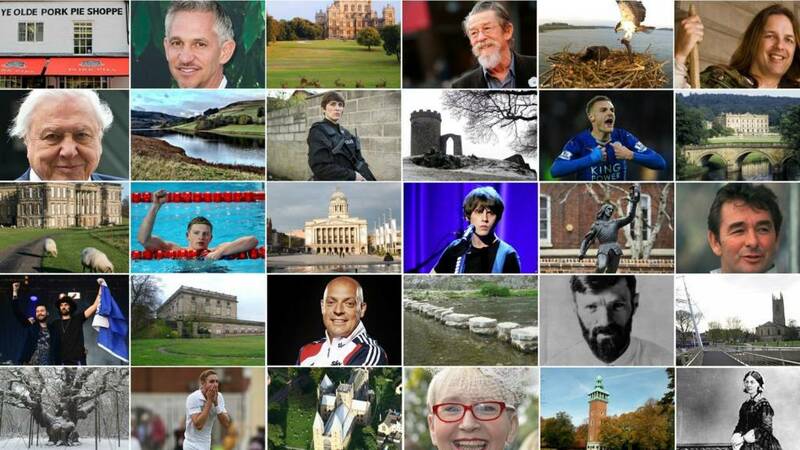 We'll be back with more news, sport, travel and weather for the East Midlands at 08:00 tomorrow. We can expect brisk north-westerly winds tonight and despite some clear spells, there will be areas of cloud as well. Temperatures will be rather chilly but in general staying dry once any early evening patches of rain clear away. Tomorrow will be dry with a mixture of cloud and sunny intervals. "I just feel the same as I've always felt", said Irene Evans on her 105th birthday. The time between Christmas and New Year may have been a welcome break from work for many of us, but the pressure was on at Leicester's A&E, where more than 5,800 patients were treated during a "challenging" period. On the busiest of the nine days, the Friday after Christmas day, 747 people came to the Leicester Royal Infirmary's emergency department for help. For the whole of 2018, there were 244,600 patients. Overall for the period there was a slight increase on last year. Rebecca Brown, chief operating officer at Leicester's Hospitals, said: "We are the busiest single site emergency department in the country and routinely treat more than 700 people a day. "Traditionally the festive period can be a challenging time for hospitals and this year was no different." In addition over Christmas almost a quarter of ambulances had to wait more than 30 minutes to hand over patients when their target is 15 minutes. Ms Brown said they are implementing a plan to improve this. Three men are to face trial on modern slavery charges in October after denying conspiracy to require people to perform forced labour at car washes in Carlisle and Penrith. A half-hour hearing this morning at Carlisle Crown Court was told the charges cover a nine-month period running up to June 2017. Sitar Hamid Ali, 30, of Adelaide Street, Carlisle, Defrim Paci, 39, of Windmill Close, Sutton-in-Ashfield, near Mansfield, and 35-year-old Jetmir Paci of Walton Walk, Boythorpe, Chesterfield, were all bailed to another hearing in September. The three also deny conspiracy to arrange travel for people with a view to exploitation, and Mr Ali denies an additional charge of possession of criminal property, namely cash, in May 2017. Demolition crews are en route to Belgrave Commercial Centre this evening, after the building caught fire yesterday evening. 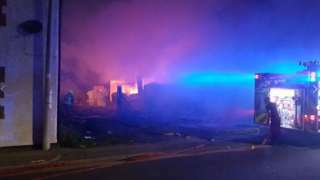 A spokeswoman for Leicestershire Fire and Rescue Service said: "Demolition machinery has been requested and is en route." At its height more than 60 firefighters tackled the blaze at the centre on Belgrave Road, which started at 22:00 GMT on Sunday. Broxtowe MP Anna Soubry has criticised the police for failing to intervene after she was verbally abused by protesters live on the BBC News channel. The Conservative ex-minister was accused "of being a Nazi", while being interviewed outside Parliament . She called for the protesters, said to be Brexit supporters, to be prosecuted under public order legislation. Pregnant sheep are disappearing by the trailer full as rustlers target the Peak District. Derbyshire Police say there has been an "alarming increase" in the number of thefts in the north-west Dales area. Texel ewes are being targeted with roughly a trailer of sheep being taken each time. A woman has died following a two vehicle crash this afternoon. The crash, which happened at around 12:00, involved a car and a van. The driver of the car died at the scene in Station Road, Stoney Stanton. The van driver has been taken to Coventry and Walsgrave General Hospital with injuries which are not believed to be life-threatening or life-altering. Station Road remains closed between Stoney Stanton and Elmesthorpe. M6 Leicestershire - One lane closed on M6 northbound between M1 J19, Catthorpe Interchange and J1, A426 (Rugby), because of a broken down vehicle. Traffic is coping well. This vicious knife was found hidden on a street next to a Leicester nursery and children's centre. Officers collected the knife which was discovered by a resident in a communal area on Silsden Rise, next to Eyres and Gilmorton Children's Centre and Play Days nursery. Dexter the fire dog has been helping with the investigation in to the fire at a Leicester shopping centre. 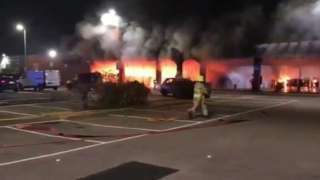 The blaze at Belgrave Commercial Centre began at about 22:00 last night and is currently being treated by police as arson.